Millie is a bright and bubbly 15-year-old teenager. When Millie was 13, she complained continually of aches, pains and severe headaches. Numerous visits to both her GP and local hospital repeatedly returned a verdict of good health. Millie’s GP even claimed that it was just attention-seeking, and that as her parents we should be harder on her. Eventually, I paid for a private consultant to see Millie and check her over. This also included a full body MRI scan. We returned a week later to be given the news that her scans were normal and that Millie was a fit and healthy child. Two days after receiving the good news, Millie had a routine appointment at our local opticians. The optician called me at home to ask me to attend his clinic immediately. At the clinic he explained that Millie had a papilledema of both eyes (haemorrhaging) and was critically ill. She needed to be admitted immediately to hospital. At the hospital Millie’s consultant diagnosed meningitis. She was then treated for meningitis but there was no improvement. After a week the hospital reviewed the MRI scan which I had had done two weeks earlier. We were then given the devastating news that Millie had two brain tumours and cancer of the spine. She was immediately transferred to the High Dependency Neurological Unit at Birmingham Children’s Hospital. Millie then underwent a series of six neuro operations to stabilise her cranial pressure and identify the cancer. Her biopsies were sent to Nottingham University, France and the USA. All three cancer centres returned a verdict of ‘unknown’. Millie’s cancer is so rare that it has no name and Millie is only the tenth child to be diagnosed in the last 30 years. We spent the next 10 months in hospital undergoing numerous procedures including 10 months of weekly chemotherapy. Due to the level of chemo, Millie suffered horrendous side effects. This included neuropathy, which resulted in her being unable to walk and being confined to a wheelchair. As her neuropathy worsened, the decision was taken to stop the chemotherapy before we reached a point of no return. 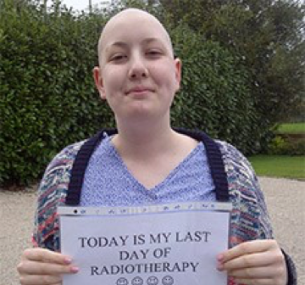 Millie then endured a seven-week course of neuro and spinal radiotherapy. Again, the side effects were horrendous as Millie suffered radiation burns and sickness. 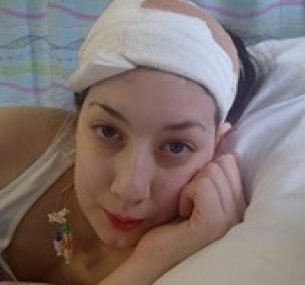 On completing the radiotherapy, Millie’s brain went into shutdown and she spent some four weeks in a coma. We are now at the point where Millie is home and we are undergoing eight-weekly scans. To date, the last two scans have had mixed results. The treatment that Millie has endured over the last 18 months has put significant strain on her body. Millie has received a total of 47 blood transfusions and 39 platelet transfusions as well as numerous neurological operations.